Former Narahenpita Crimes OIC Sumith Champika Perera arrested for allegedly covering up evidence in connection with the murder of Wasim Thajudeen yesterday informed Court through his lawyer that he is ready to make a confession before the Magistrate over the incident. Senior Counsel Ajith Pathirana appearing on behalf of the former Crimes OIC told Colombo Additional Magistrate that his client would reveal everything he knew about the incident before the Magistrate. Defence Counsel Ajith Pathirana informed Court that the Magistrate has jurisdiction to record a statement being a confession in accordance with the Section 127 of the Criminal Procedure Code. The Defence Counsel further told Court his client had acted as per the instructions given by then senior police officers. Defence counsel moved Court that his client be released on bail on whatever bail condition the Court may deem fit. However, Additional Magistrate Nishantha Peiris ordered that the suspect be further remanded till May 26 because the CID are yet to conclude their preliminary investigations into the incident. Meanwhile, the Additional Magistrate issued an order directing the Mobitel mobile service providing company that telephone call conversation details pertaining to the investigation be handed over to the CID for further investigations. Senior State Counsel Dilan Ratnayake appearing on behalf of the Attorney General submitted to Court that the CID has recorded statements from 20 police officers regarding the investigations over covering up evidence in connection with the murder of Wasim Thajudeen. He further said it will take a long time to conclude the investigation due to its complexity. While delivering the verdict, Colombo Additional Magistrate Nishantha Peiris on February 25 this year ruled that the death appeared to be a murder and ordered the CID Director to immediately arrest all suspects involved in the incident and produce them before Courts. 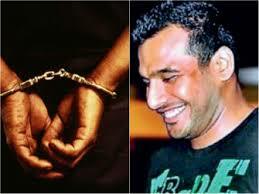 Thajudeen was killed, apparently, in a road accident in Colombo in May 2012. Sri Lanka Medical Council (SLMC) yesterday informed Court that the SLMC has filed charge sheets against former Colombo Chief Judicial Medical Officer Prof. Ananda Samarasekara and two other Medical Officers, over the missing of several bones and other body parts of former Rugby player Wasim Thajudeen. Counsel Chathura Galhena appearing on behalf of the SLMC told Colombo Additional Magistrate Nishantha Peiris that the penal of the JMO including Prof. Ananda Samarasekara had been summoned for a disciplinary inquiry and the SLMC was in its final stage to conclude the inquiry. “The SLMC has gathered prima facie evidence against the panel of doctors who were involved in performing the first postmortem inquiry into the body of Wasim Thajudeen,” Mr. Galhena added. Taking into consideration the facts, the Additional Magistrate ordered the Registrar of Sri Lanka Medical Council that the full report pertaining to the disciplinary inquiry against the JMO panel be submitted in Court before next hearing date. The prosecutors alleged that the conduct of the former Colombo JMO and other officials were not at a satisfactory level and they have neglected their duties. On a previous occasion, former Chief JMO Prof. Ananda Samarasekara had informed Court that several bone parts of Wasim Thajudeen’s body had gone missing and unable to be located in the deep freezer or the mortuary coolers at the Colombo JMO’s office. He said he instructed two minor staff members to store the body parts in the deep freezer. However, two minor staff members had denied the facts that the body parts were entrusted to them by Prof. Samarasekara.